A rabbit nail cutter of her childhood used by her family and currently in possession of the artist, is the original inspiration of this work, some unaccounted fingernails still rattle inside. 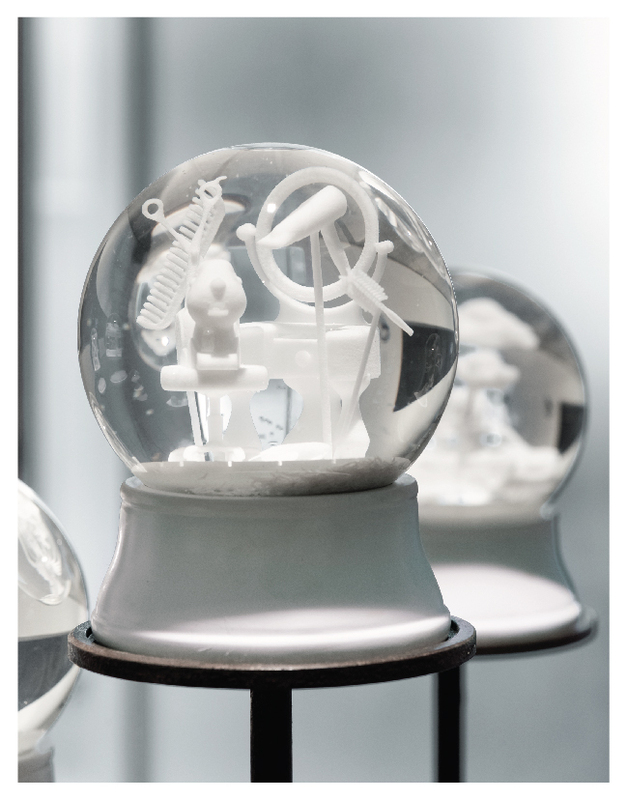 The Invisible Father contains 13 key scenes from the artist’s life immortalised inside snow globes where nail clippings serve as confetti. The nail clippings are an exact representation of the length Yardena’s father’s nails would have grown and been clipped in his short lifetime.